Today is Father’s day in Australia. It is AS first Father’s day and he is over the moon to have our little angle with us. That is the photo I took when Chhori was small and here is the one from today. Thank you AS for being such a wonderful father and helping me raise our beautiful daughter. Wishing all the fathers out there a wonderful Father’s Day. Hope you all are enjoying your time with your little bundle of joy. 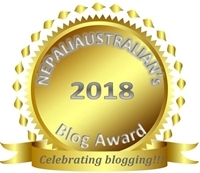 This entry was posted in Baby food, Celebrations, Our daughter and tagged Australia, chhori, daughter, father, Father's Day, first father's day. Bookmark the permalink. There is such a thing as Father’s Day?